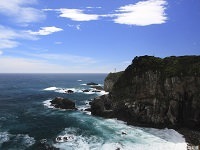 Kochi City is located on the Kagami-gawa River delta, at the head of Urado Bay. 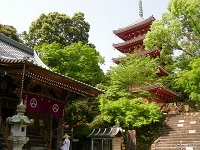 The city is the political, cultural, economic, and trading center of the prefecture. Kochi Castle dominates the center of the city, and Harimaya-bashi Bridge is famous for its red lacquer railings, which are retained to this day. There are also several famous ruins within the city itself. Obiya-machi is an arcade, which runs through the city, and Kyo-machi is a shopping street with many shops selling high-quality decorations made from coral. The city's trams are affectionately known as "Toden" and are a favorite method of transport for citizens. 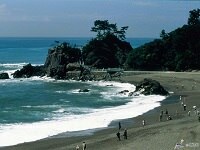 At Urado Bay in the south of the city is Katsura-hama Beach. 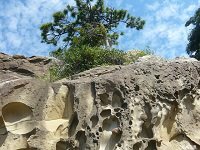 This spot is famous for the pleasant contrast between the beach's pine tree forests and rocky coastal scenery. 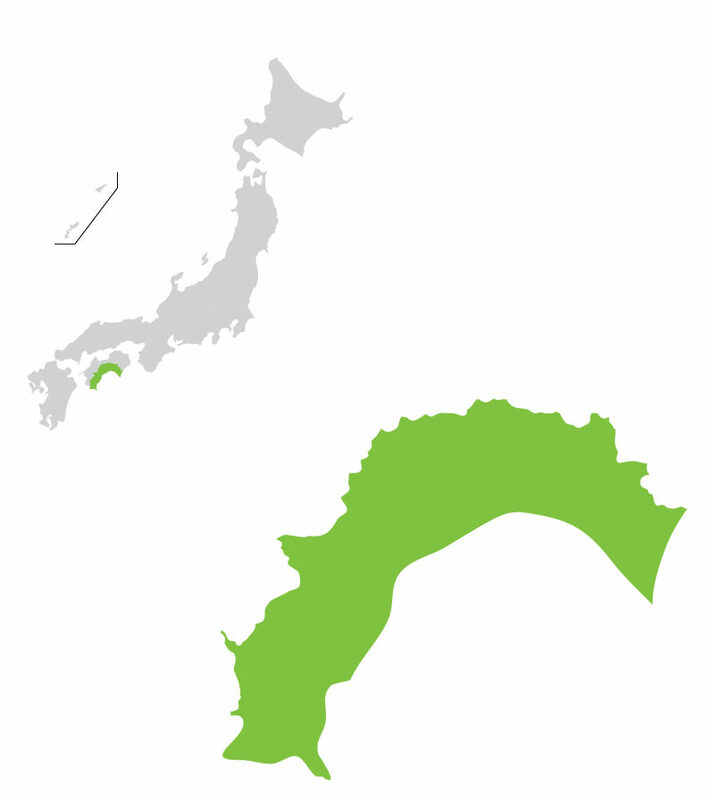 Kochi Prefecture is located in the Shikoku region and hosts the annual Yosakoi Festival. The festival began in 1954 and has developed and incorporated many different kinds of dances and ideas since then. Various teams of approximately 100 members dance to the “Yosakoi Bushi”, the traditional local folk tune in different outfits of their choosing. In recent years, young groups have started mixing rock and other musical aspects to modernize the dance. 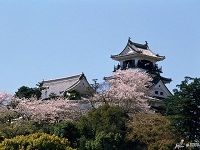 A landmark of Kochi is the Kochi Castle, one of the twelve original Japanese castles that still stand today. The castle was especially unique for not only being used for military purposes but also as a residence. In most cases the castles served one purpose and the lord resided elsewhere but Kochi Castle was used for both purposes. Half an hour from central Kochi is Katsurahama, a scenic beach. The beach is scenic for the reason that swimming is prohibited due to the strong currents. 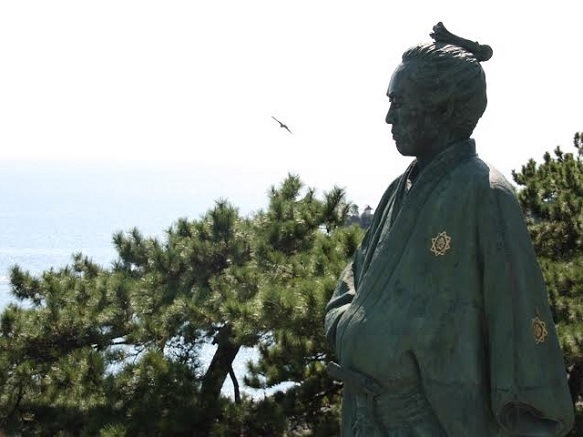 Visitors of the beach though will find many attractions around including the famous statue of Sakamoto Ryoma you won’t miss. 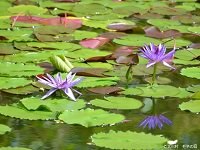 Ryoma played a crucial role in ending Japan’s feudal age. Visitors can also learn more about Ryoma and his contributions to Japan at the Sakamoto Ryoma Memorial Museum just above the beach. 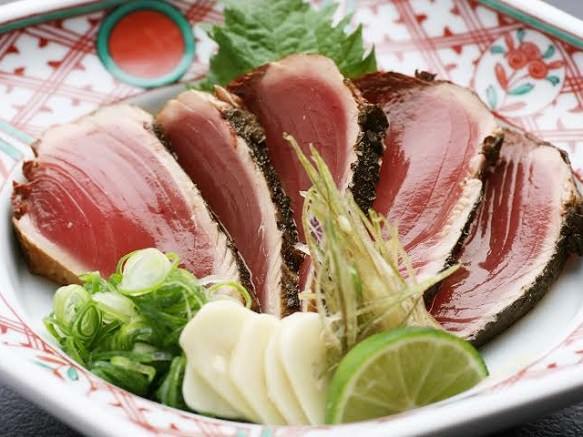 Kochi’s most popular local dish is the “Katsuo no Tataki”, sliced seared bonito. Katsuo no tataki is served with ginger, green onions, and garlic and soy sauce, as ordinary sashimi are. Katsuo no tataki is a local Kochi favorite and is available at many izakayas as an appetizer dish. Bonito is well known for its use in creating katsuobushi, which is the base of many Japanese food and soup stock. Not surprisingly, katsuobushi from Kochi has a rich flavor. When visiting Kochi, katsuobushi is a great souvenir product. Tosa Uchi Hamono is a type of cutlery that developed in Kochi over 400 years ago. 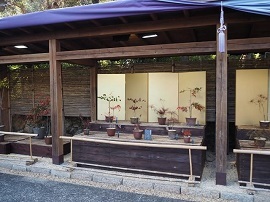 Blacksmiths use their skills to create swords, knives, axes, saws, and other Tosa Uchi Hamono even today. 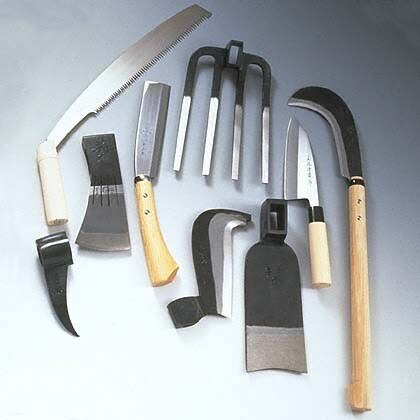 The handles of the Tosa Uchi Hamono are made of wood and the blades from carbon steel and iron. The blade of the Tosa Uchi Hamono is shaped and sharpened by hand after the steel is heated and hammered into the desired shape. 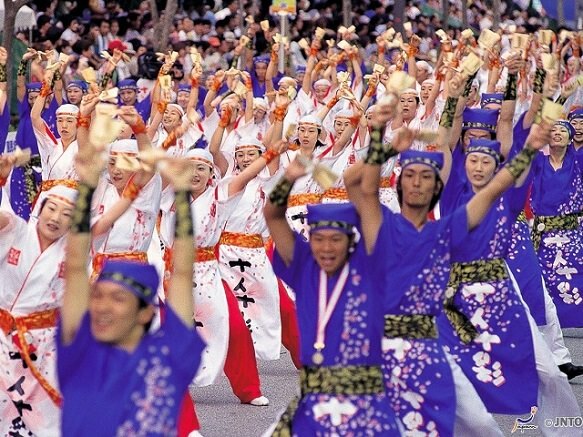 Yosakoi Matsuri is a popular festival that can be seen in various parts of Japan but its origin lies in Kochi Prefecture. It began in 1954 and has continued every year since. Over 10,000 participants dance to various arrangements of the song "Yosakoi Naruko Dancing". In recent years, interesting variations have emerged such as dances influenced by hip hop, Flamenco, samba, and more. With the variations in music and dance, costumes have also changed through the years. Different teams incorporate various dances and costumes to match the dance style. All teams though must use an instrument called naruko. Naruko are small wooden clappers which each dancer holds and claps with to the song. Although Yosakoi Matsuri has evolved and incorporated new influences, there is still a sense of tradition left in the now very popular festival.